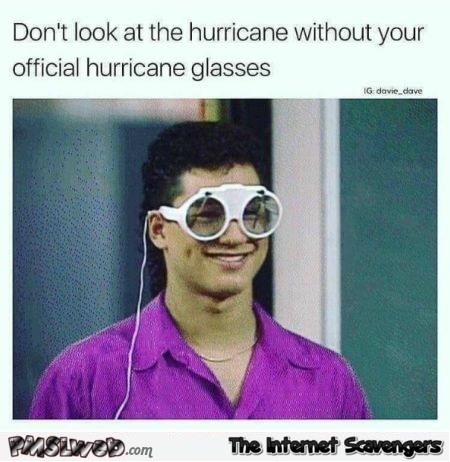 Hurricane Irma memes – While the terrible aftermath of hurricane Harley which badly hit Texas only recently (150,000 properties were affected), while thankfully being more clement with the states of New Orleans and Louisiana, is still omnipresent among the general population, the latter was robbed of the spotlight only a few days after by the now very infamous Hurricane Irma. 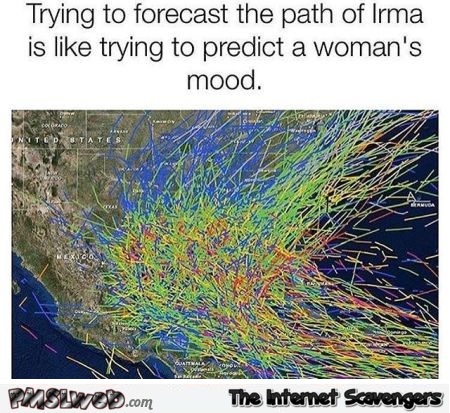 Indeed, Irma a category 5 hurricane – or should we say a devastating hurricane – was born in the Atlantic, and first caused havoc in the Caribbean where “she” unleashed her wrath on the islands of Barbuda (damaging 95% of the structures), Franco-Dutch St-Martin (70% of the Dutch and 95% of the French side of were destroyed) , St Barts, Anguilla, the Virgin Islands, Puerto Rico, Haiti and the Dominican Republic (luckily though while being battered by the storm, the damage caused by Irma turned out to be far less than initially feared), Turks & Caicos and finally Cuba before heading to Florida. 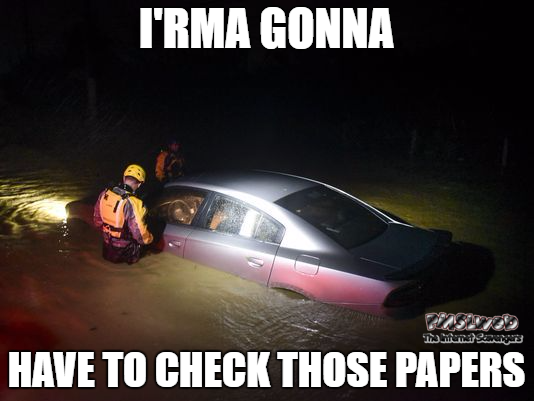 The hurricane reached Florida Keys on Sunday (and after being downgraded to category 4), caused a fair amount of damage in Miami before moving up west coast via Naples and Fort Myers. 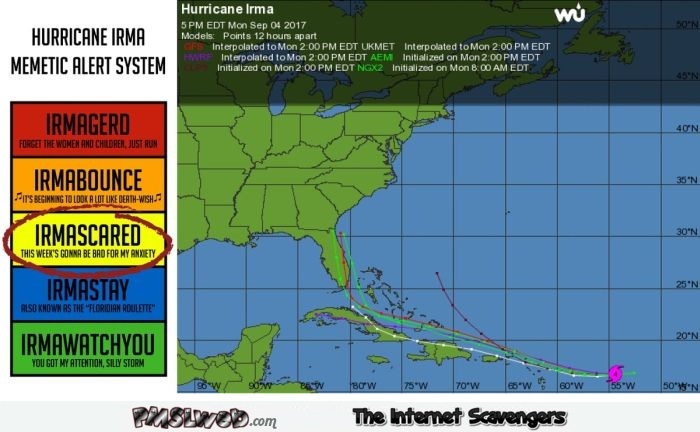 Irma finally weakened to category 1 as its eye wall passed east of Tampa and has now been downgraded to a tropical depression as it continues to push up north. 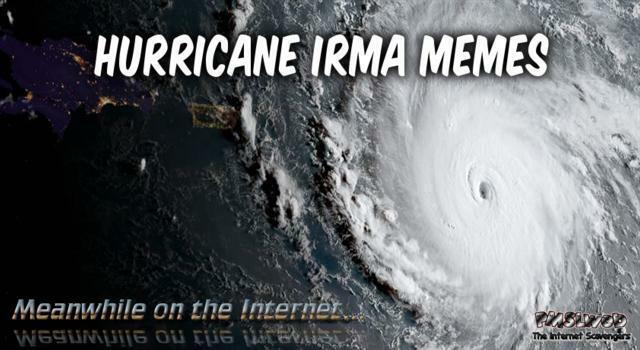 While evidently we perfectly acknowledge that the devastation and chaos (not to mention casualties) inflicted by what potentially can be qualified as one of “Worst hurricane’s in history” is in no case a laughable matter, this is the Internet… and by now you all should be familiar with the fact that a certain part the World Wide Web will always have its very specific way of covering breaking news and current affairs in a fairly more lighthearted way and under the form of memes. 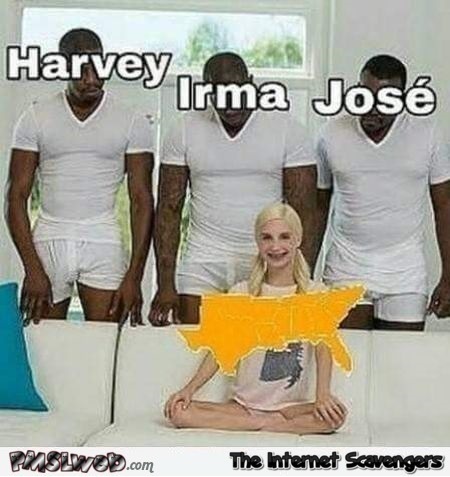 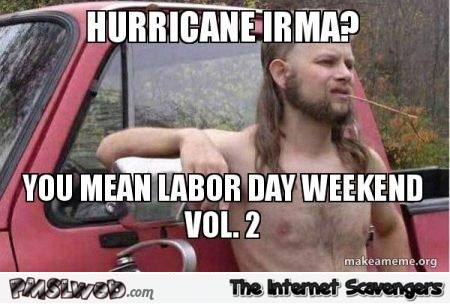 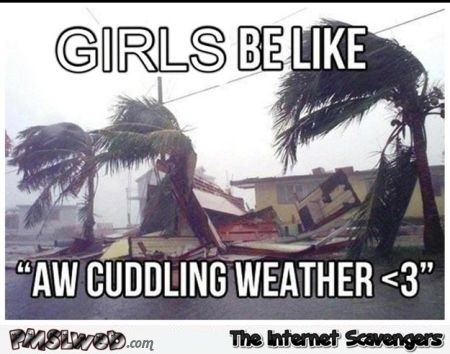 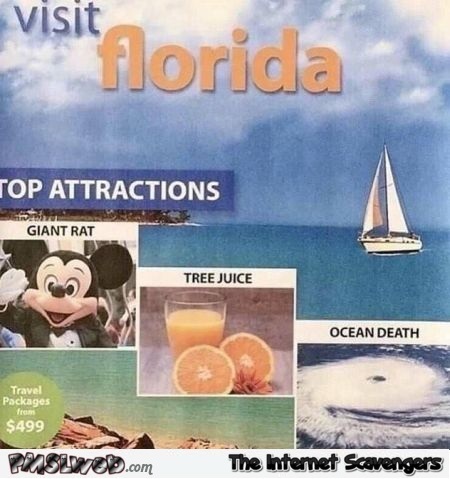 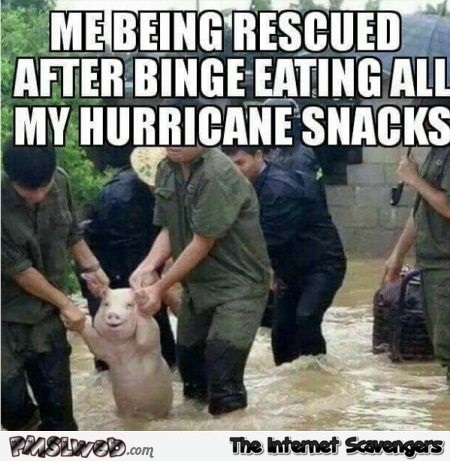 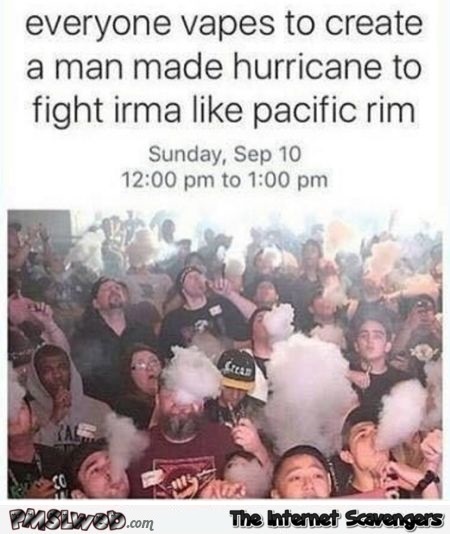 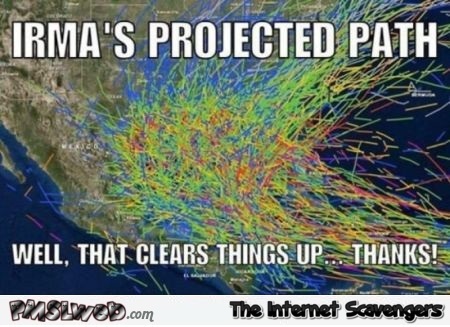 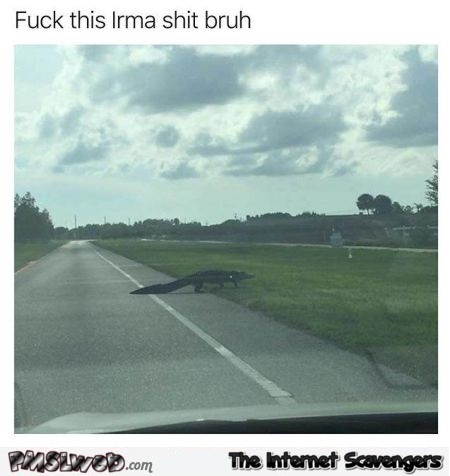 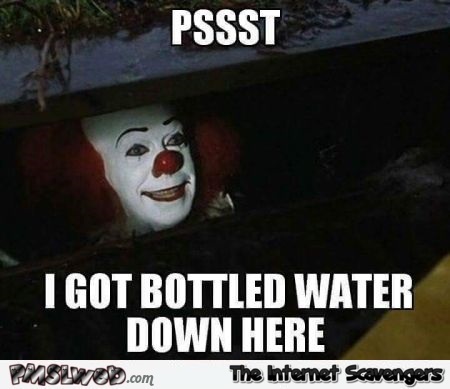 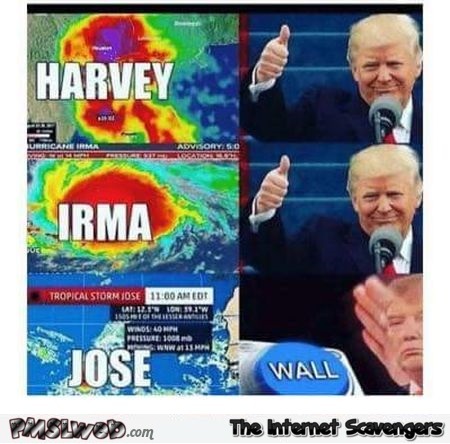 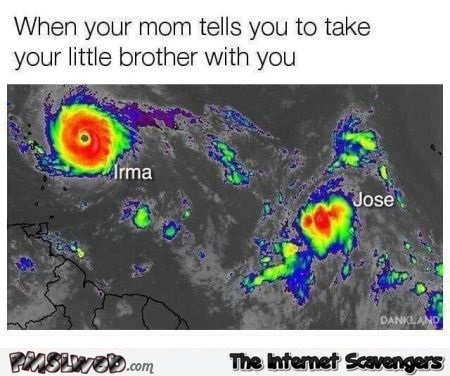 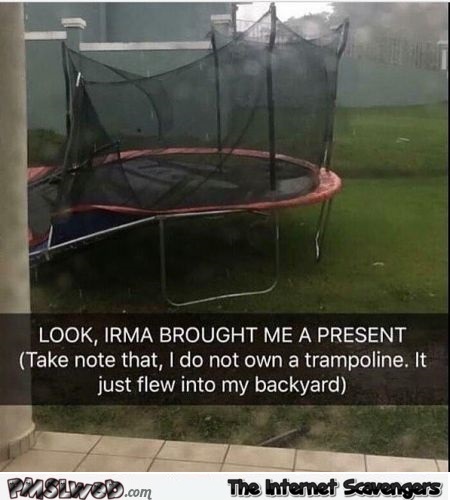 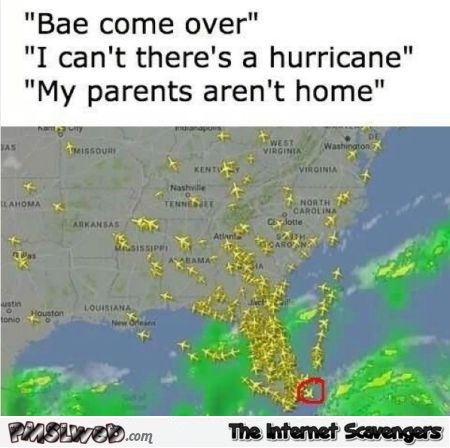 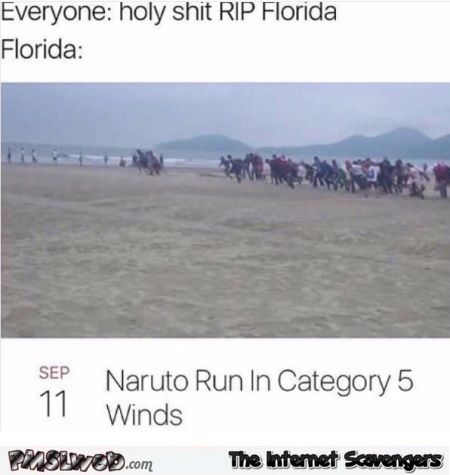 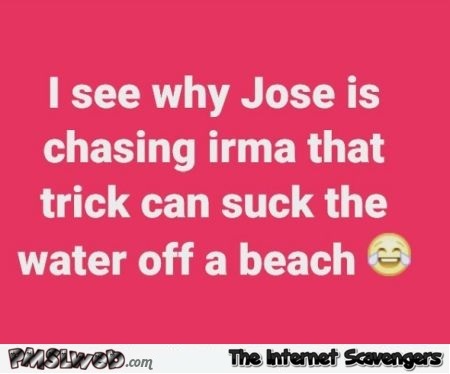 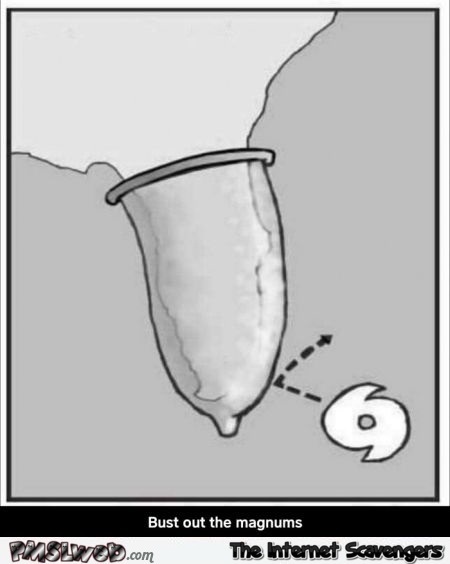 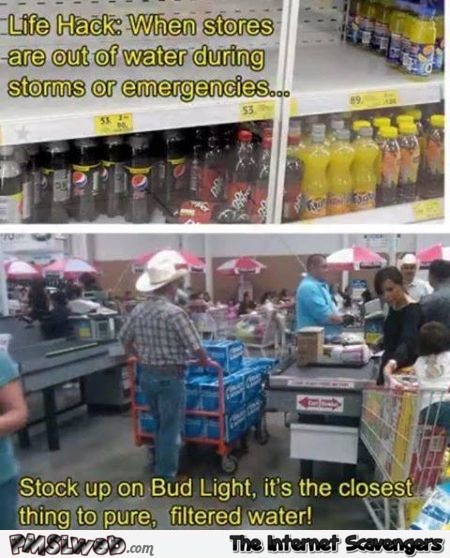 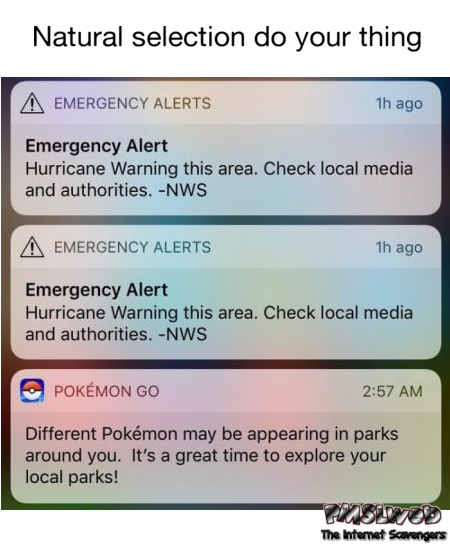 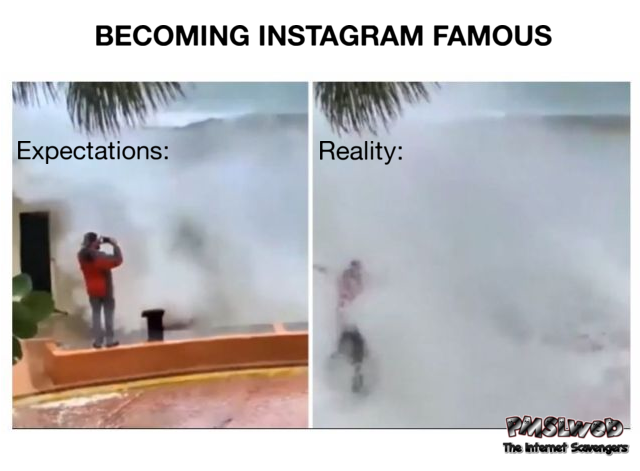 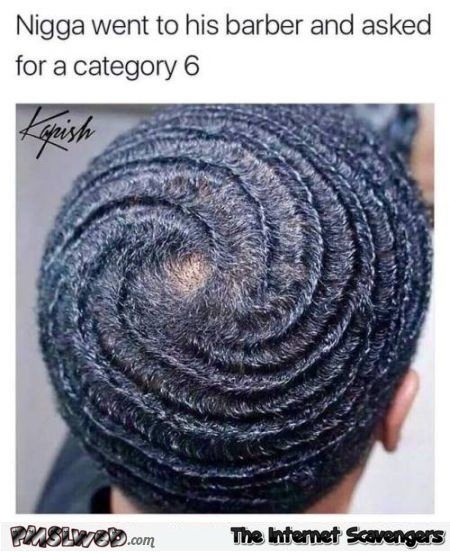 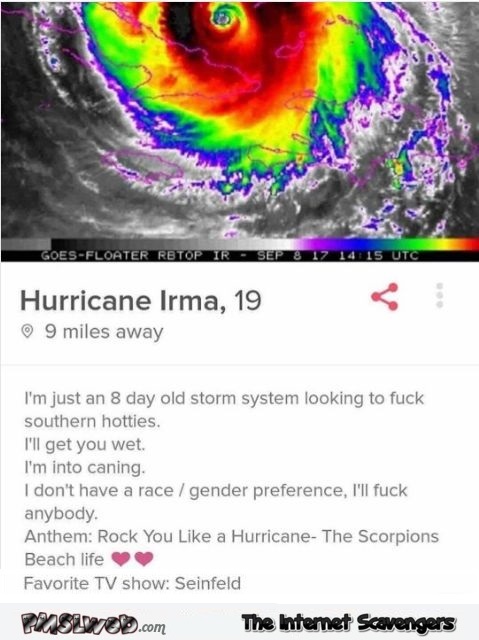 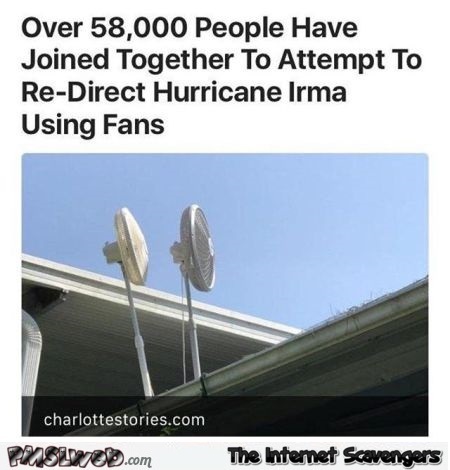 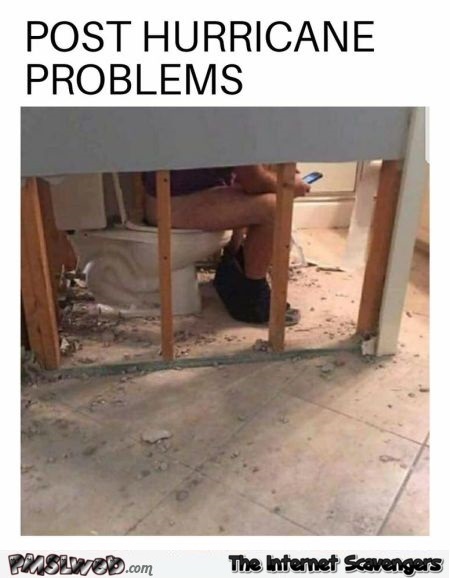 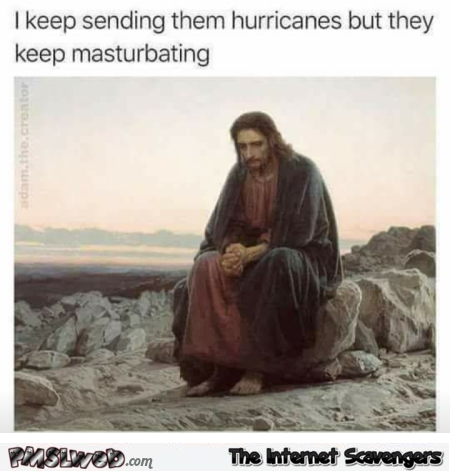 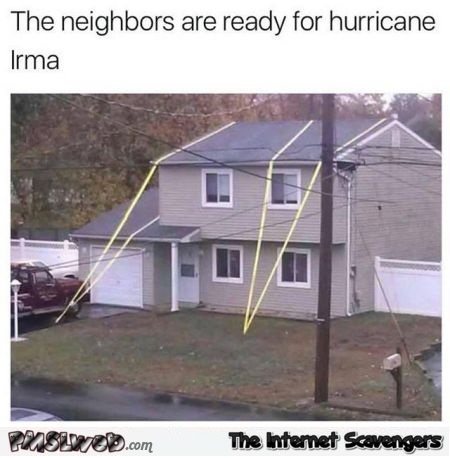 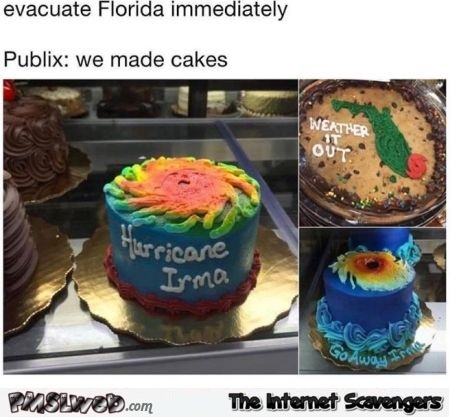 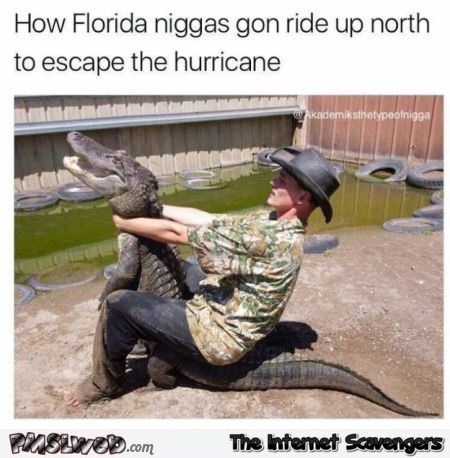 Honestly these past days we have been encountering funny Irma related memes and pictures wherever our scrolling/scavenging has taken us, so today we have decided to put together a compilation of some of the best (or worst) we have stumbled across…. 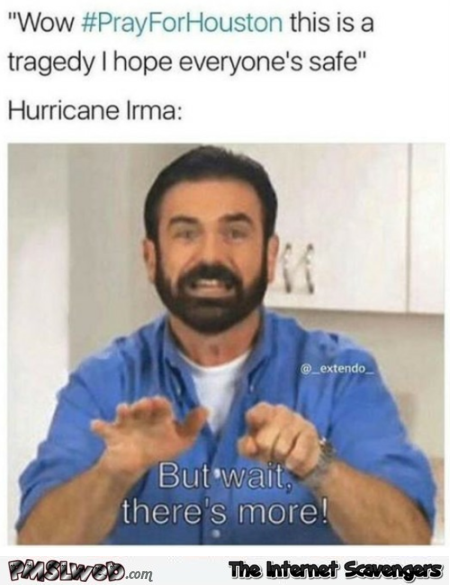 it’s up to you to judge!